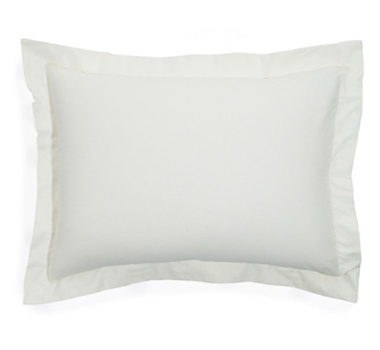 These shams are made from 300 Thread Count Pure Certified Organic Cotton Sateen. From seed to shelf, the organic cotton is grown and processed free of pesticides, harmful dyes, VOC's, arsenic and other carcinogenic chemicals. The shams have been manufactured with fair trade labor and environmentally friendly practices. Wind power is used as an environment friendly energy source. Organic certifications for the sheets come from Control Union, Oko Tex, ISO, Ceres and Woolmark. In addition, Organic Trade Association, Better Business Bureau, International Federation of Agricultural Organic Movements and Co-op America have approved the manufacturer as a member. Standard/Queen - 20" x 26"
Policy: Any returns must get a pre-approval and a return authorization code. Please contact us at customerservice@theultimategreenstore.com for return authorization. Please be aware that there is a 15% restocking fee for all returned items. Items are returnable as long as they have not been used or laundered and it is within 15 days since receipt of goods. Defective items are returnable within 10 days of receiving order if it has not been used or laundered.